Pazmany Bros. Landscaping is a full service landscape installation, renovation, and property maintenance company with over 34 years of experience in residential and commercial landscaping. Nunley Remodeling & Stanton Landscaping focuses on doing custom home remodeling, inside and out. 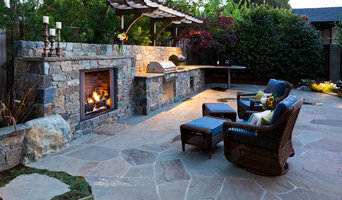 Indoor-Outdoor living is how Californian's live and we aim to give our clients that experience. We hope that our Outertainments Outdoor Living and Kitchen products creates a fulfilling experience to help design and create the ideal outdoor living space both you and your family can be proud of. For over 30 years, Skyline Landscapes, Inc. has been providing homeowners in San Mateo with all of their lawn care and landscaping needs. We are your one stop shop, when it comes to your lawn. We move heaven and earth to create the perfect landscape design for you and your family, using sustainable materials and earth-friendly methods. Looking for someone who knows best water-conserving, no-water, green building practices, and sustainability? With your concerns and desires, and our far-ranging expertise, working with code and agency requirements, we develop a vision and budget, creating a design responding to your hopes, peaceful outdoor patios and a beautiful, water conserving landscape in which to live. We take care to understand the unique point of view of each person involved planning their landscape design and patios, and bring the ideas together, to flourish and ensure everyone's desires are part of the solution. We take into account your property’s unique opportunities, and environment. Analyzing characteristics, creating an overall wish list, we gain an understanding of your project's needs. This becomes our plan of action. Contact us at 408 – 202 - 9168 or ckauer@sbcglobal.net for references. 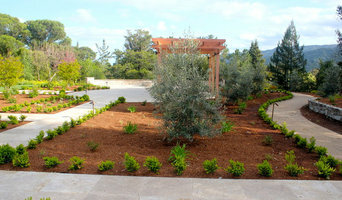 We are Licensed California Landscape Architects and Licensed, Bonded and Insured Contractors, artisans. We think, as our clients do, you’ll be thrilled with our care, creative design, meticulous work and follow-through. Call us for a free meeting and discussion of your project. We look forward to chatting with you informally. A holistic, personalized, Smart, team approach, unique to you and your family is our joy, with our key thoughtful budget development from start, to finish and follow up. Landscape Architecture plans and/or complete installation, with integrated Maintenance Calendars. Over thirty years experience solving landscape dilemmas; Classic design solutions. Our modern and rustic Outdoor Kitchens, Fire pits, Fireplaces, Patios and Paving built by professionals create an outdoor haven, cleverly fit surroundings and complex environmental conditions. Pools, Cold Plunges, Spas, Water Gardens and Ponds; Fountains to naturalistic designs, hidden garden areas. Environmentally considerate Lighting, Habitat Restoration; Bee, Bird and Butterfly, and theme gardens; Wind-resistant schemes, native, deer-resistant, low water-use Plantings. Additions, Shade Arbors, House Building Plans, compliance with codes. References, repeat clientele; public agency experience. When you want it done right. Our team includes landscape architects, horticulturists, skilled landscape craftsmen and contractors with a history of designing and creating award winning gardens that are enjoyable for many years. When you want it all. Stone pathways, patios & terraces, natural stone walls, outdoor kitchens, pizza ovens & fireplaces, green arbors, trellises & decorative fences, garden art, garden fences & gates, unique water elements, creative planning, innovative lighting schemes. From “concept to completion”. We start with the basics. We carefully gather information and perform a site analysis and inventory of your property. Combined with your needs, desires and our expertise, we will design and construct a living work of art that will reflect your personality and your dreams. 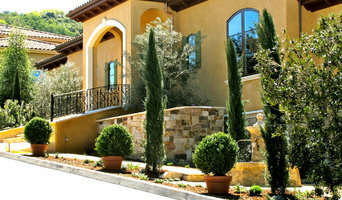 Terra Rubina is a Landscape Design Build company specializing in Mediterranean modern design. 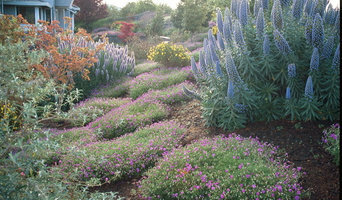 Essentially drought tolerant plants mixed with clean lines and low maintenance care. General Contractor for Greater Bay Area residential homes. Whether you want to keep your children and pets safe in the garden or get a little more privacy from your neighbors, fencing is important from both an aesthetic and security standpoint, so you definitely want your Los Gatos, CA fence installation done right. When browsing Los Gatos fence installers on Houzz, look for an experienced professional who has completed projects similar to yours and can provide insight and suggestions on materials and fence designs. Research your options prior to talking with a fence installer in Los Gatos, CA as you’ll have a better idea of what you want and need. Additionally, put together a Houzz ideabook with fence styles and designs that you want — this will help your professional turn your vision into a reality.